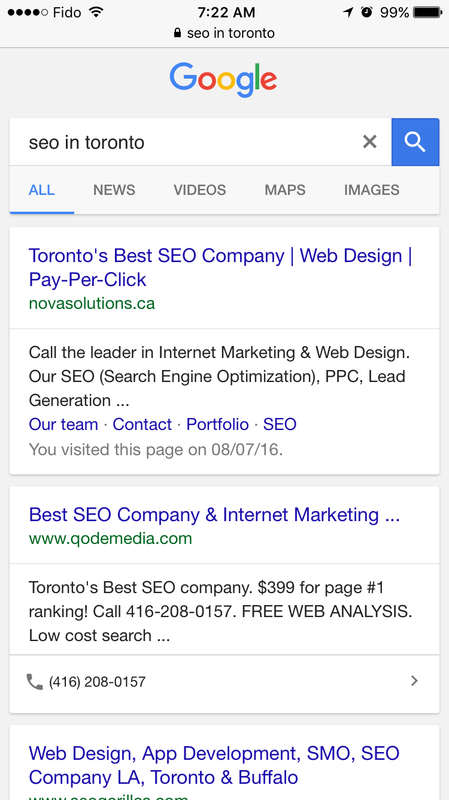 Many are used to seeing click to call feature in the mobile results for Google AdWords results. You also sometimes see it for specific brand queries or on generic queries when you start going pages deep in the results. 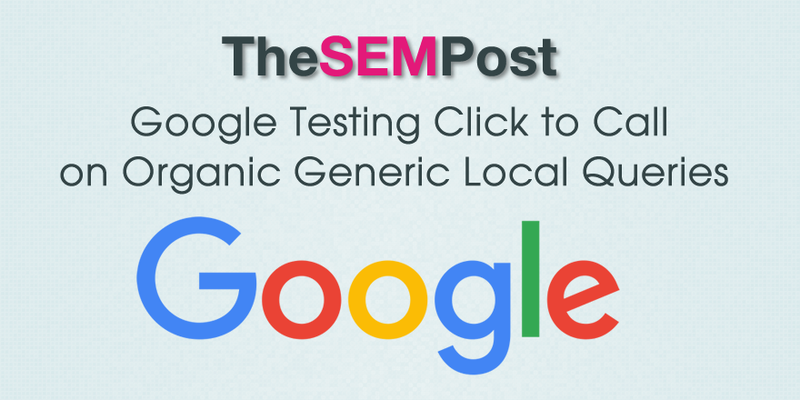 But now Google is testing click to call for businesses on the first page of the search results for coveted generic queries. Even though it isn’t in a local listing result specifically, Google does have the phone number information from the Google My Business information for that business, reinforced with the phone number (in plain text) on the page. But the phone number data is ultimately pulled from the Organization markup including the phone number that is included on the site’s homepage. If you are a business, it shows it is important to include any appropriate schema markup to your pages, including the Organization markup. Has it occurred to Google that some businesses don’t particularly want to get inundated with phone calls? Particularly small (automated) web businesses that don’t have the funds to provide continuous phone support. We need a non-penalising opt out. You could remove the phone number from organization markup. So you don’t think the phone # being in the description tag has anything to do with this? With how much Google does added features like this in the search results via schema, I would be pretty surprised if it was from anything but schema.